Todd and I love asparagus! I have cooked it roasted and grilled and love it both ways. 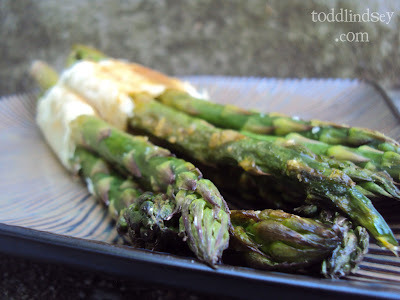 Last night I was looking for another way to make asparagus and I came across this cute recipe. 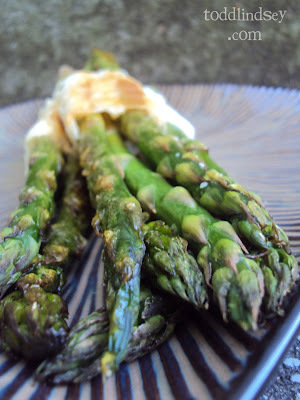 It combines the crunch and richness of a pastry with the fresh, crispness of asparagus. For a dinner party or brunch, this would be a great way to dress up your table! Check out the recipe below! 1. Preheat the oven to 375* and grease a baking sheet or use a nonstick sheet. 2. Cut the phyllo dough into rectangles approximately 2x 6 inches and cover with a damp paper towel to keep it from drying out. 3. Snap off the tough ends of the asparagus. 4. Place one sheet of phyllo on a piece of wax paper and brush it with melted butter. 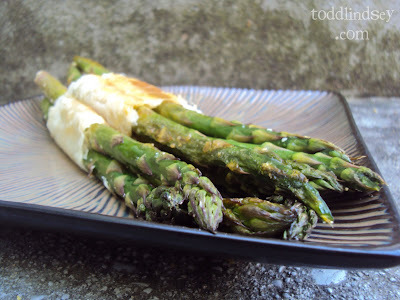 Sprinkle with parmesan cheese and place three asparagus spears on one side of the sheet. 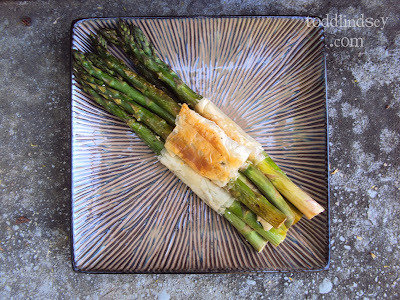 Roll the asparagus up in the phyllo. 5. 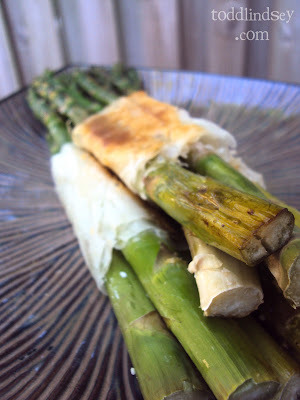 Take another sheet of phyllo and brush with butter and repeat using the same asparagus bundle from the previous step. You should end up with an asparagus bundle wrapped twice. Place on the baking sheet. 6. Repeat steps 4 and 5 with the remaining asparagus and phyllo. 7. Drizzle with olive oil and sprinkle with S&P and more parmesan. 8. Bake for 15-18 minutes or until it is golden brown. You may need to flip the bundles over towards the end of the baking time to ensure that both the top and the bottoms brown. 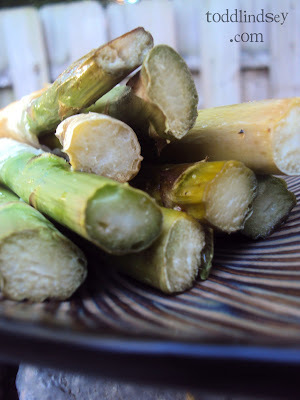 I love asparagus too, and love to prepare it in different ways! 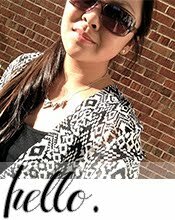 Love your idea!